Do you want to know how to use FaceBook ads for the best book marketing results? Listen as book publishing expert, Alexa Bigwarfe shares her secrets stash of tips and techniques to help you grow and strengthen your author platform. 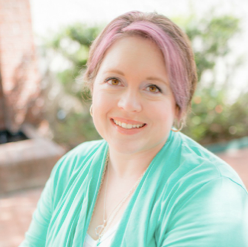 Alexa Bigwarfe is the owner and operator of Kat Biggie Press a small hybrid publisher with a niche in women’s non-fiction, self-help, spiritual and business books. She also runs Write, Publish, Sell an author coaching and support services business to help authors through the process of writing, publishing and selling their books. She uses Facebook ads to grow and strengthen the author platform in addition to selling books. 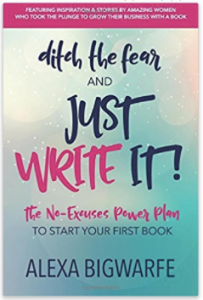 Alexa is the author of Just Write It, Simple Strategies to Defeat Your Writing Fears and Hurdles. She’s co-authored numerous other books. In her capacity as an Independent Book Publisher Association’s advocacy committee member, Alexa advocates for hybrid presses and independent writers in the publishing industry.